A bolt that will be used in the renovation of Leicester’s National Space Centre has been launched to the edge of space – and it’s all been caught on camera! Construction company, Robert Woodhead Ltd, is working with the National Space Centre to build its brand new ‘Launch Pad’, a ticketing facility, which will greatly improve the customer experience, extend the Centre and create much-needed space. The bolt will be installed in the new building. 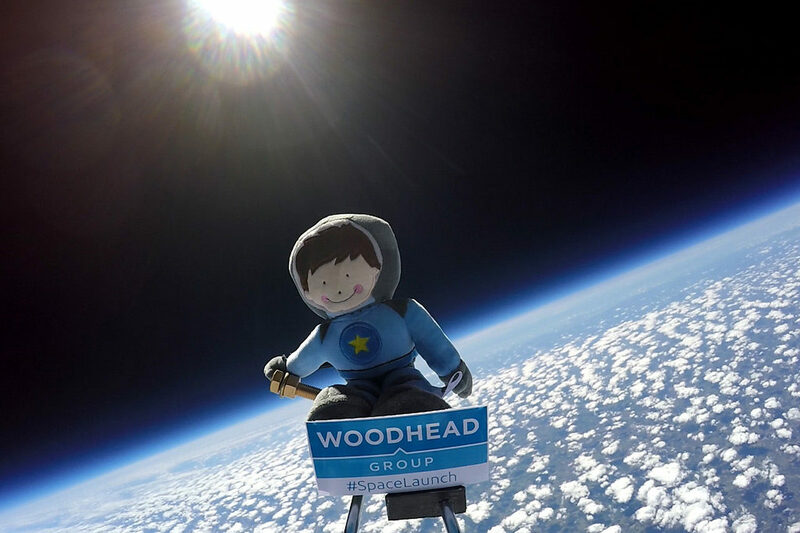 Woodhead invited students from Beaumont Leys School in Leicester to take part in the launch last month, which saw the bolt and a cuddly toy from the Space Centre’s gift shop head off into the sky, aiming to reach the edge of space. The bolt will actually be used in the construction of the new Launch Pad, after its long 103 mile, 115,452ft. journey to the edge of space. Following the launch, the journey of the balloon was tracked, and collected from its final landing place in Long Sutton. The footage from the journey has since been put into a fantastic video to show how a construction project can go ‘to infinity and beyond’! It is hoped the new addition to the Centre will help speed up the ticketing process at peak periods, and create a brand new exhibition space for some exiting new artefacts. Chas Bishop said, “We are mighty close to the launch of this wonderful new facility, so what better way to celebrate than launching something ‘nuts’ to the edge of space. The students from Beaumont Leys School have helped out with some great hoarding designs and have taken a real interest in the construction process. The Woodhead team has been only too willing to welcome them to site and explain how it all works: I think we have some architects and site managers of the future right on our doorstep”.